She may compete further in veterans, but mostly now, has retired to the couch! 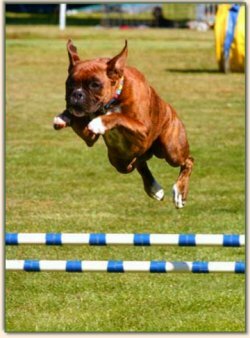 "Cooper" has been a very consistent achiever in both the Obedience and the Agility and Jumping Rings. During his career he has taken a number of First Places in Open competition at each of these Performance disciplines. 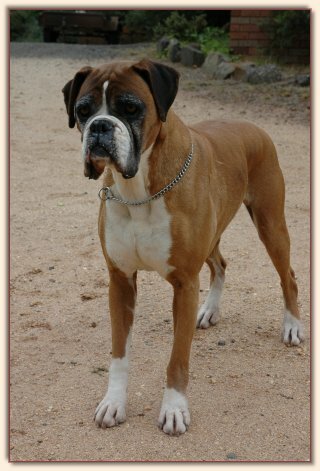 In 2008 he will retire from Agility and Jumping, and then will pursue Tracking for a little while. 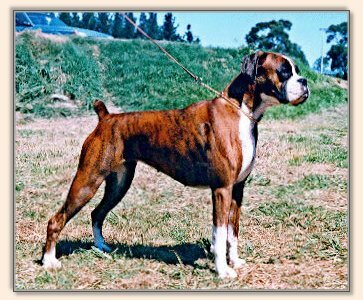 Who knows what the future will hold there for this clever Boxer. 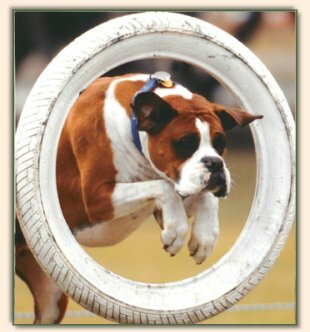 We found early on that the conformation ring was just not for Soda, so entered her into agility training at the age of 18 months. 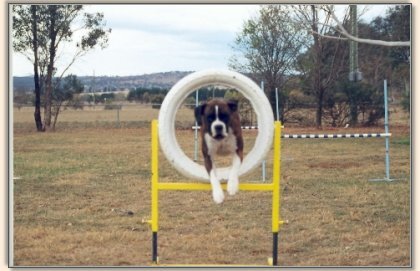 Soda took the agility and jumping rings by storm, making us very proud. In Just 6 trials, she managed to gain both her Novice Jumpers and Agility titles. 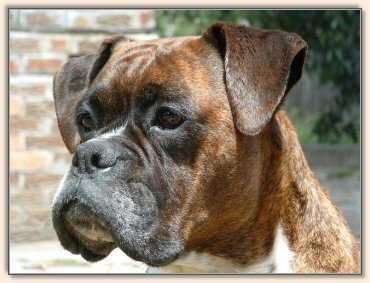 She is the only boxer living in the ACT to be awarded these titles.